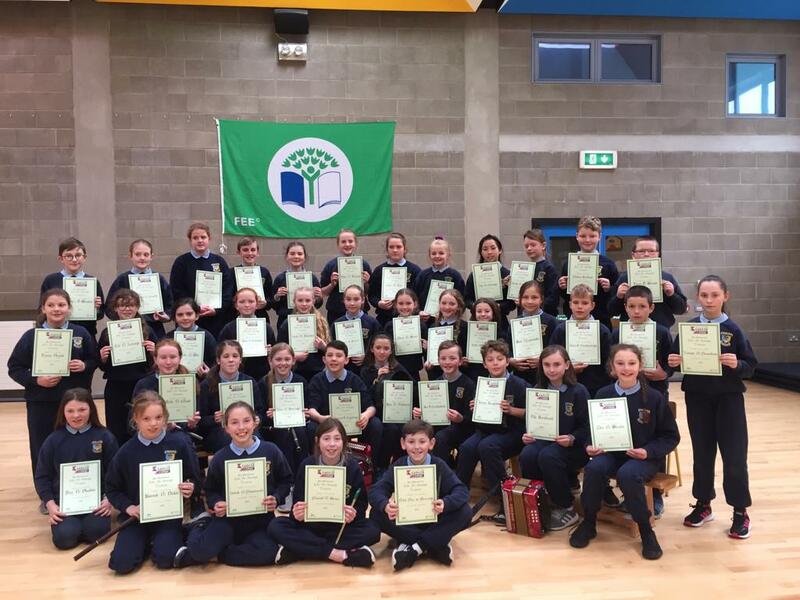 Last Friday was the final day of the school year in Carrig N.S. We began the day with our end of year school mass which was celebrated by Fr. McCormack in St. Mary’s Church. The school choir, led by Ms Boland and Mrs Comer, sang beautifully once again and children from each class read prayers. After mass, we returned to our school hall where a very special guest joined us. Kerry footballer Kieran Donaghy spoke to the crowd of pupils, family members and teachers and he then presented our basketball and hurling teams with the medals they won recently. Huge thanks to Kieran for taking time out of his busy schedule to visit us! Finally, we said goodbye to our 6th Class pupils who have been fantastic role models for the younger children in the school this year. They composed two songs for the occasion which they performed for us and many in the hall had tears in their eyes.